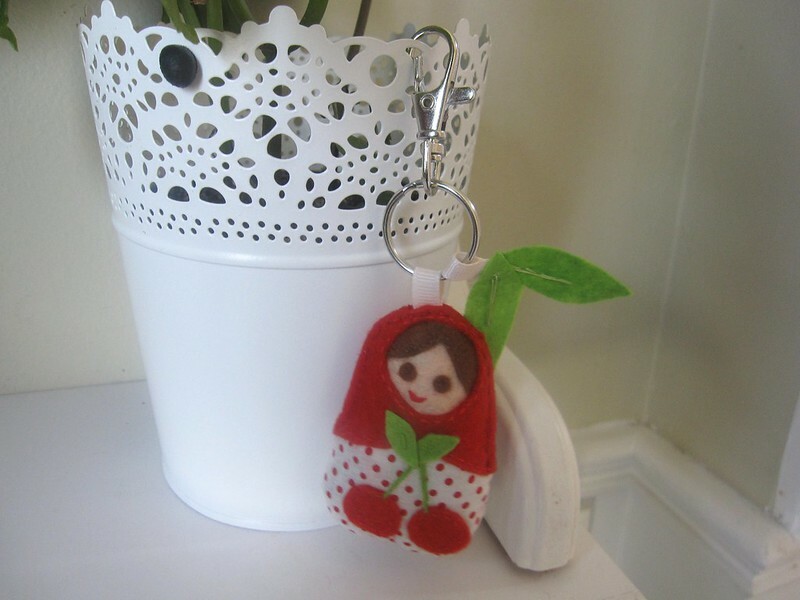 babushka keychain | i made it so. ← entering the terrible twos? the other night, i made that little babushka keychain from the kit that came with the mollie makes magazine i received as a gift. 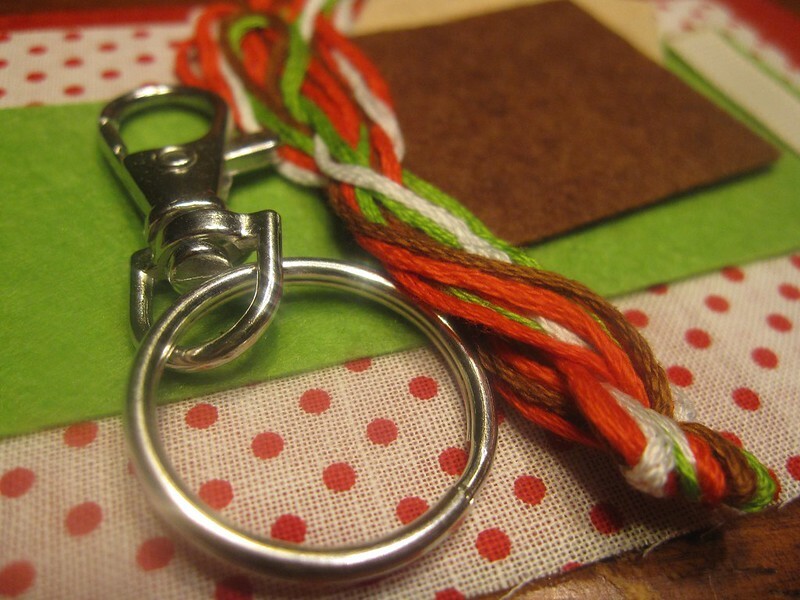 the kit came with the materials needed to make the keychain, and the pattern and instructions were provided in the magazine. if you’d like to make this yourself, you can find the pattern for your personal (non-commercial) use through the mollie makes website here. i didn’t want to cut the pattern pieces out of the magazine, and i normally use tracing paper or thin non-fusible interfacing to copy templates. but since my craft space is basically the laundry room, i came across a used dryer sheet and it worked perfectly for tracing. it was just the right size for this small project, and i used a sharpie to trace it out. armed with my supplies and a cup of tea, this was a great little project for a quiet evening in front of the t.v. all stitched up, babushka lasted on the little shelf for only a few moments. she now resides in my daughter’s room. funny aside… the last couple of days, the kids were arguing about a piece of sticky tack. 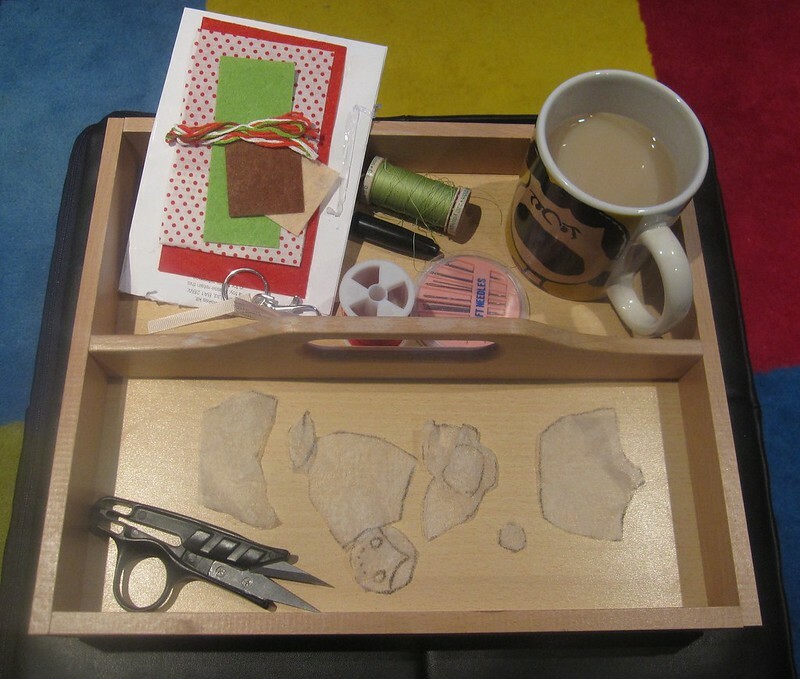 we’ve had a few sticky tack mishaps (where it was mashed into the carpet/clothing etc.) so i’ve pretty much banned this stuff. ditto glitter. anyway, a tiny piece of this prohibited substance had been smuggled home by one of them (the culprit did confess to me before bringing it inside), and i overheard them arguing about where it was and who had it last. they couldn’t find it anywhere. one of them was freaking out that “mom’s gonna get so mad!” and so on. (i don’t know why they’d ever think that, i’m always perfectly calm. my blog. my fantasy.) the funny thing is, i just found the sticky tack’s hiding place as i was posting the photo above. it’s stuffed into one of the holes in the plant pot. see it? hehehe. 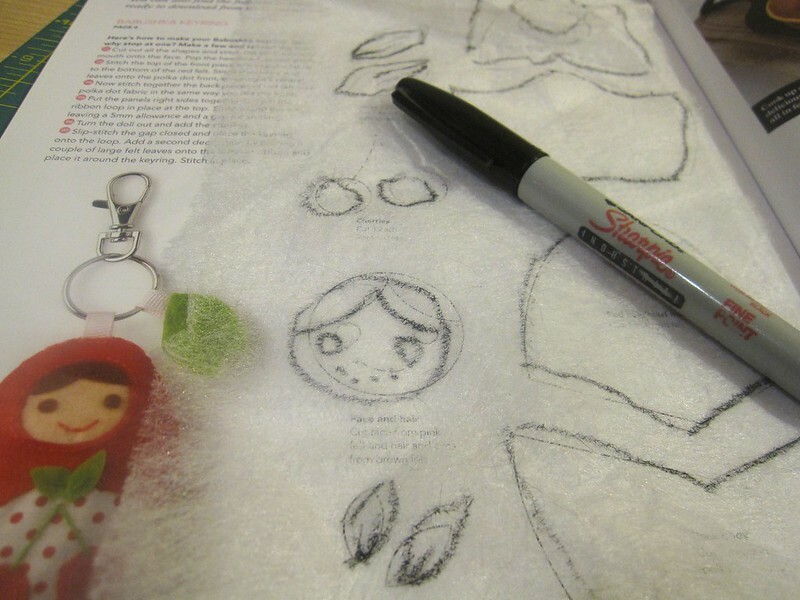 This entry was posted in sewing & fabric arts and tagged mollie makes babushka doll, sticky tack. Bookmark the permalink. Love this! And I adore the story about the sticky tack. Our tooth fairy brings glitter with her quarters and it is everywhere, even in my taxes files (I must admit the glitter did make doing my taxes a little more magical this year.) But, as of today I’m banning feather boas! if anything makes taxes truly magical let me know and i’ll buy it in bulk. i can’t imagine anything doing that really, other than a good sprinkling of accountants with reasonable fees. oh yes, silly putty and flarp all fall into this category! your babushka is soo cute! No wonder she was adopted by your daughter!